Facts and history about the life and lifestyles of Native American Indians. Native American History began thousands of years before the first European explorers set foot on their lands in North America. 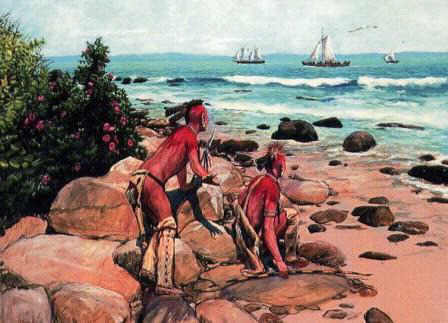 The white invaders had a dramatic effect on the lives of the American Indian tribes. Native American history details significant events, dates and the impact on the indigenous people of North America. Such events included the terrible diseases that decimated many of the tribes, the introduction of the horse that led to the Buffalo hunting culture of the Great Plains Indians. Westward expansion and the belief in the Manifest Destiny of America resulted in the building of roads, canals and railroads, the encroachment of Native Indians lands and the demise of the way of life.